Is your Holiday Home Insurance Policy Written in a Language that you can Understand like English? 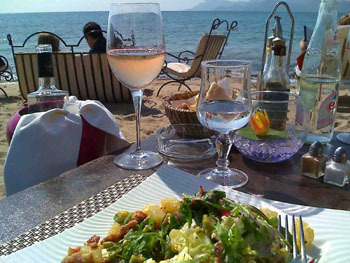 Holiday Home Insurance for France and other countries written in English - Is yours? You have just purchased that dream holiday home property and one issue that needs to be sorted out prior to the completion is the property insurance. Imagine if that property was in France, Spain, Portugal, Greece, Denmark, Germany or Italy. Do you speak the language well enough to understand the insurance in Portuguese for example? Many insurance companies in European countries have advisers who speak English, however normally the policy will still be in the local language. Insurance policies are often difficult enough to understand in your mother tongue, but in a foreign language you probably wouldn’t know what was covered and what was not. There is an answer now as several British based insurance companies are now covering overseas properties. The policy is written in English and you deal with someone who is experienced with insurance on holiday home properties in the country that your second home is located in. There are now also many multinational insurance companies with familiar names in Britain that are becoming just as well known in France and Spain. Many of these can now help with your insurance, but careful research on the Internet or recommendation from friends is very important. You do need to ensure that the property is covered for paying guests and when you are not in residence for several months a year. The other major considerations are: Theft, Malicious Damage, Fire, Flood, Burst, Pipes, Storm, Impact with road vehicles, Subsidence, Landslip, Heave and Earthquakes. “Small print” in insurance documents is often hard enough to understand in your own language and very difficult in a foreign one, so never be afraid to ask for professional advice explaining anything that you are not happy with.